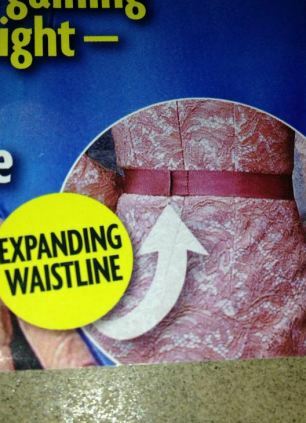 A U.S. publication appears to have Photoshopped a baby bump onto the Duchess of Cambridge’s slender frame. 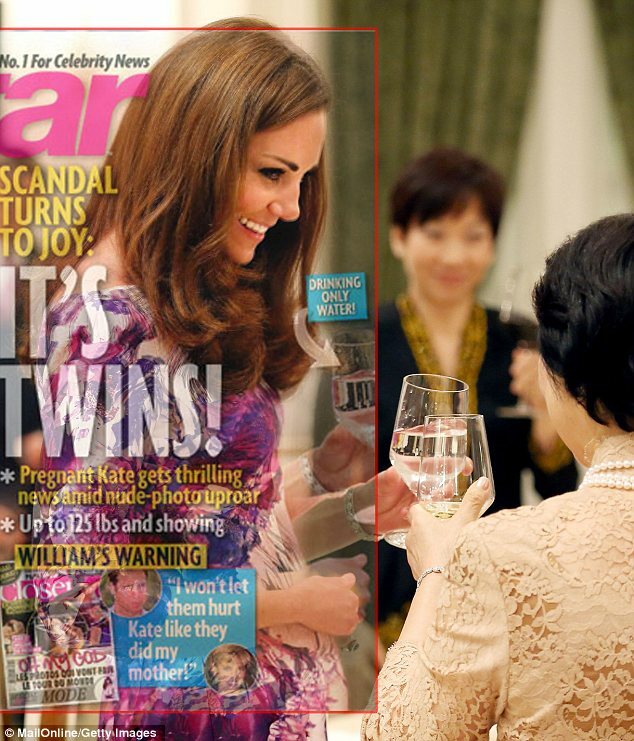 Star magazine, which claims to reveal that Kate is pregnant with twins, published an image of the British royal from her recent visit to Singapore on the cover of its latest issue. The 30-year-old is seen standing in what is quite a typical pose, with her shoulders back and hips forward, with her arm resting across her midriff, as she toasts Mary Tan, the President of Singapore’s wife. However the gossip site Celebuzz suggests that Star Magazine has taken the liberty of retouching the photograph, to make it appear as though the Duchess’s stomach is larger than it is. On comparison with what it believes to be the original photograph, the site says there are several glaring clues indicating that it has been airbrushed to suit the title’s headlines. MailOnline laid a ghost of the Star magazine cover over the original image to compare the two, and it does indeed appear that there are some differences. 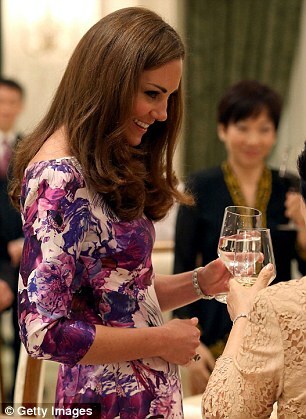 The Duchess’s entire torso looks to have been widened, and the angle of her left arm and the glass she holds seem to have been altered, with Mary Tan’s glass removed from the frame entirely. The cocktail ring is missing from her right hand, as is the shoulder of a woman in the background, just seen in the original. Kate’s face, eyes and teeth have also been lightened. In MailOnline’s overlay composite, the Star cover and the photo beneath were matched using the position and size of the Duchess’s eyes to ensure that they were in perfect proportion with one another. The inside story cites a ‘family friend’, ‘insider’ and a ‘source’, who apparently told the title that the Royal couple conceived during a ‘passionate night’ in Wales after the London Olympics. It is Star’s second cover in a row claiming to reveal that the Duchess is expecting. Just last week it suggested that stitching in the waistband of one of Kate’s dresses was proof that it had been let out to make space for ‘mommy weight’. The headline sparked a furious response from singer Demi Lovato who took to Twitter to slam the publication. She wrote: ‘So apparently Kate Middleton (William?) is pregnant because of THIS picture… Are you KIDDING ME?! !